Posted on September 27th, by Kathryn Kutchel in Events, Melbourne, News, Our people, People, Culture & Brand. 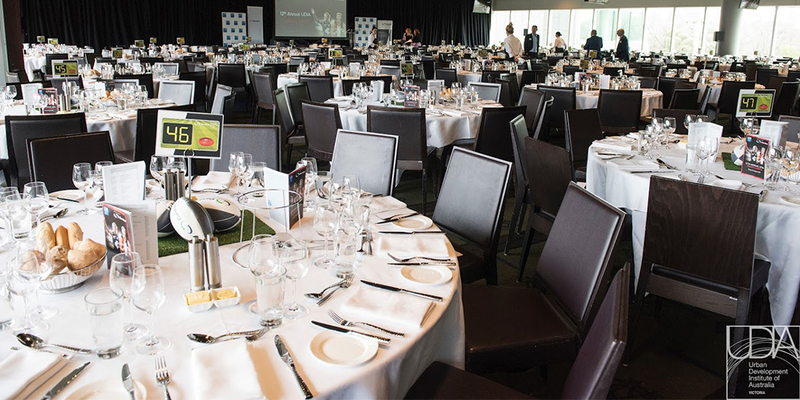 The annual football luncheons are the most anticipated events on the Taylors sporting and social calendars as it gives a chance for directors and clients alike to enjoy a well-deserved afternoon away from the regular working environment and in the midst of the great playing ground, the MCG. 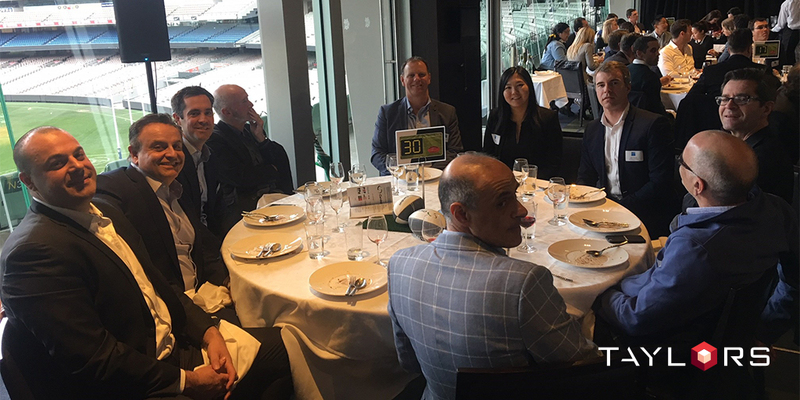 This years UDIA and PCA Footy Lunches were well attended by Taylors delegates and esteemed clients, some of whom had not experienced this opportunity before, but were grateful for the fun day out. 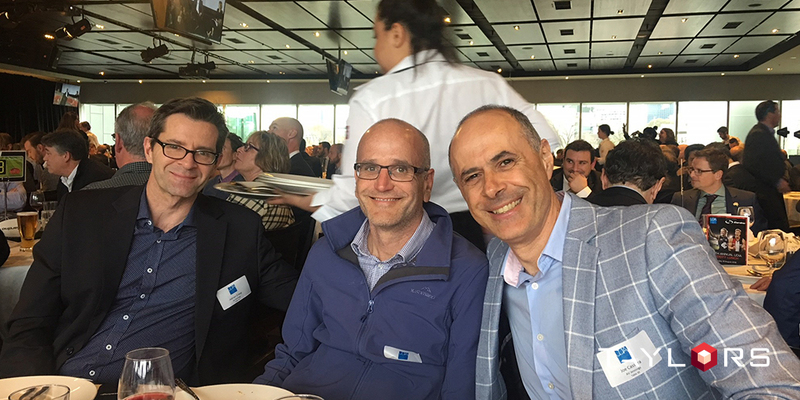 As Taylors General Manager of Business Development – and devoted St Kilda supporter –, Sarkis Yelandjian explains, “It’s a good social day where everyone is in a great mood”. “It was an excellent opportunity to build on relationships away from the day-to-day project ‘rock face’. As the afternoon progressed, guest speakers were introduced to discuss topics of substance. Nick Riewoldt, of St Kilda fame, gave a great insight into life after football and some of both the physical challenges and, more importantly, social impacts of life after football and how he has transitioned to a ‘post footy’ career, his exposure to the media, and his involvement in charity. 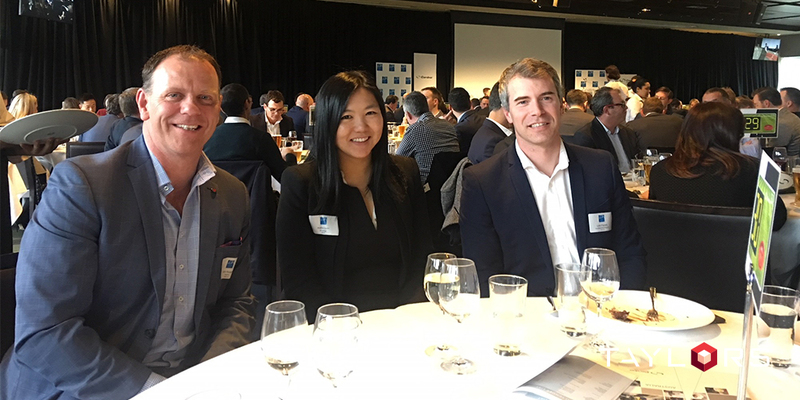 The second football luncheon, hosted by the Property Council of Australia (PCA), was described as “one of the best events in the calendar”. 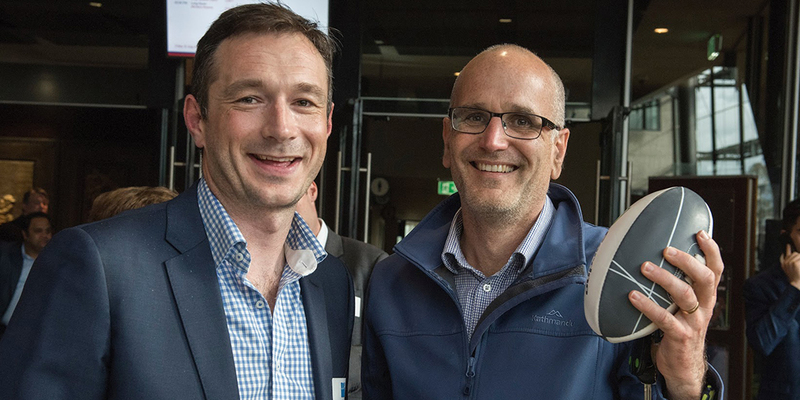 The second football luncheon, hosted by the Property Council of Australia (PCA), was described as “one of the best events in the calendar” by Taylors General Manager of Urban Development Planning and Design – and keen Richmond supporter –, Nick Hooper. Held at the Crown Palladium, over 1500 members of the property industry came together to celebrate the end of the football season as the countdown continued towards the Grand Final. Taylors hosted a table at this sold out event which gave General Manager Engineering and Project Management, John Yalden, Nick Hooper and Design Manager, Andrew Matheson, a chance to spend some quality time with a group of esteemed clients in a fun and relaxed atmosphere. Well known football identities Shane Crawford, Ben Brown (of North Melbourne fame) and Lily Mithen (of the Melbourne AFLW) shared stories with the Master of Ceremonies Tiffany Cherry right in the middle of the cavernous Palladium. The afternoon was enjoyed by clients from Stockland, New Sky, Country Garden, V-Leader and Gorway Projects. “The massive crowd is a great indicator of how popular and enjoyable the afternoon is”, said Taylors Nick Hooper, “It is a wonderful time of year and gives the Taylors team and our clients a chance to discuss work matters and the footy in a relaxed atmosphere, furthering the relationships that are so important to us”. First time attendee, Senior Planner, Stephen Lake (right), reflected on the importance of these experiences with clients.